Samsung Malaysia has officially announced the availability of Samsung Galaxy S III mini which is priced at RM1,199. 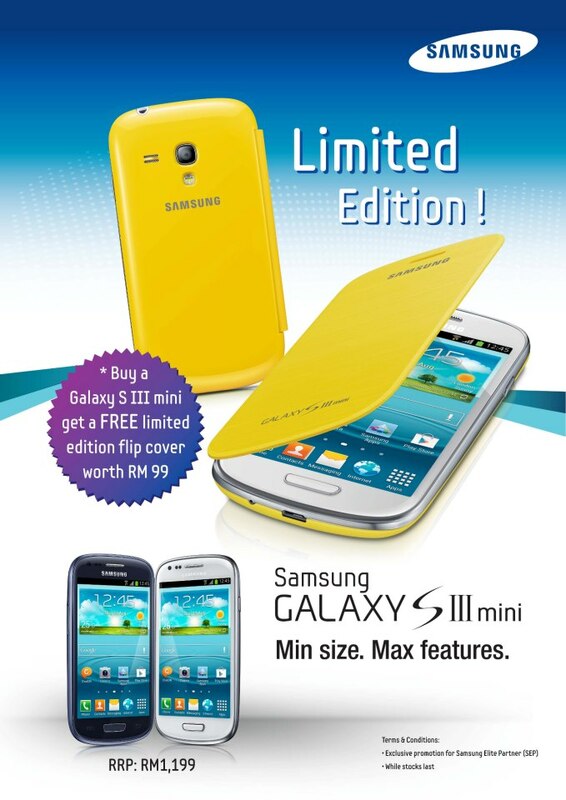 At the moment, Samsung is giving away a free limited edition flip cover worth RM99 for the purchase of a Galaxy S III mini, which is exclusive to Samsung Elite Parners. You can control your dream!